Running on Pixie Dust: Where it all began. . .
Where it all began. 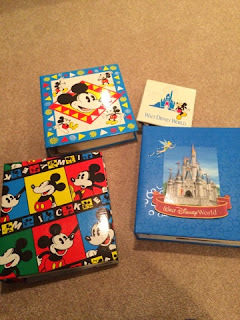 . .
My husband has long tried to figure out where my Disney obsession began. As a child and young adult, I was lucky enough to travel with my parents and family to Walt Disney World for 3 trips - and clearly each one made a lasting impression! Right now, we're actually staying with my parents for a few weeks while we wait to move into our new house. The other night, I was exploring in the basement and found some Disney memorabilia from my childhood that started a flood of great memories. Below are just a few items that I discovered and the memories associated with each. 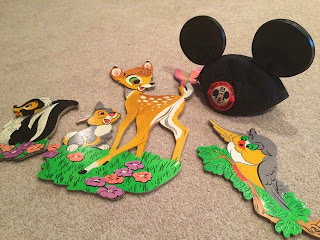 My nursery was Bambi and these were the decorations from that. That's also my first pair of mouse ears! 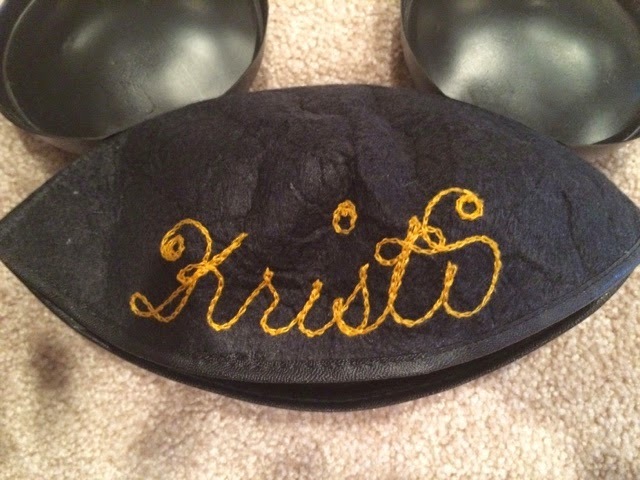 What kid doesn't love seeing their name on Mickey ears?? 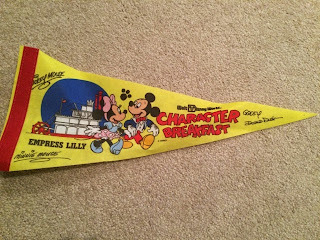 A souvenir from one of my favorite memories from my first Disney trip - the character breakfast on the Empress Lilly. Just a few of the photo books capturing all the Disney memories from childhood. What started YOUR love of Disney? A movie, a song, a trip, a relative? No matter what began a love of Disney, most would probably agree that once you're hooked, life without the mouse is pretty hard to imagine!